You’re looking at a special piece of MG history. Only 2,111 Twin Cams (numbers 501 to 2,611) were made in the short two year production run from 1958 through 1959. This later model example is one of the last Twin Cams made and is identified by the larger later style turn signal and taillamps. It is in remarkably good unrestored condition with a strong frame and straight body panels. 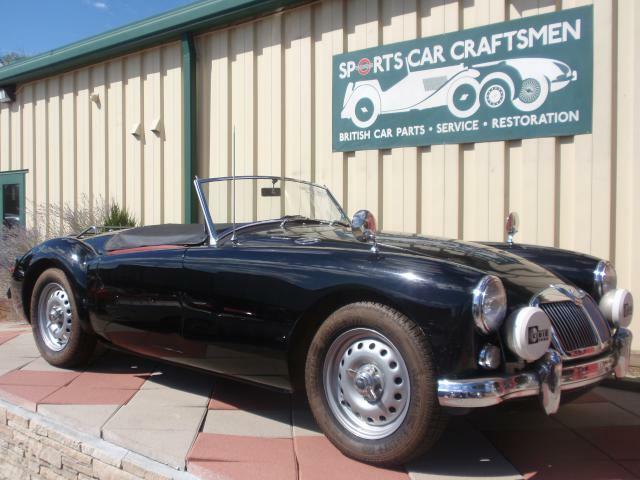 MG introduced the MGA Twin Cam in 1958 as a more powerful edition of the ground-breaking MGA (introduced in 1955). 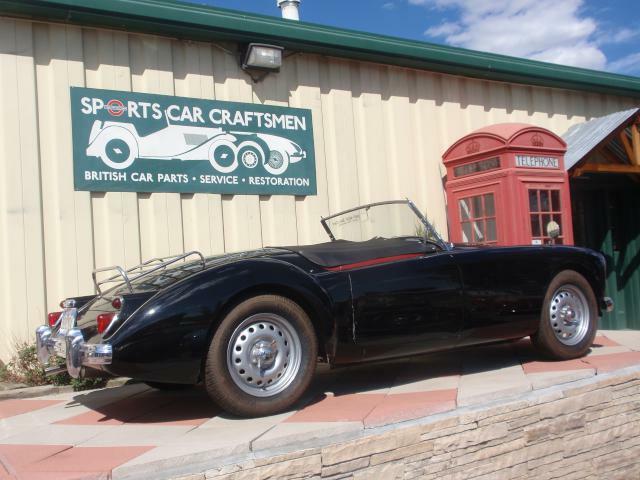 The Twin Cam boasted a 108 hp engine, which was a dramatic increase from the standard 72 hp MGA engine. It also sported disc brakes on all four wheels – the first production car in the world to do so. Over the course of its two year run, however, it was constantly beset by engine problems. Early versions of the car suffered constant oil leaks, fouled spark plugs and the occasional fractured engine. MG addressed all of those issues throughout the run of model, but the Twin Cam never truly recovered from the bad press garnered by the poor performance of original run. Our Twin Cam is a later version of the car, and thus avoids all the problems of the early engines. As such, the 50 percent increase in horsepower is noticeable and makes for an exciting driving experience. With its Dunlop disc wheels, disc brakes and lower compression engine, it stands as a testament to what the Twin Cam could have been.